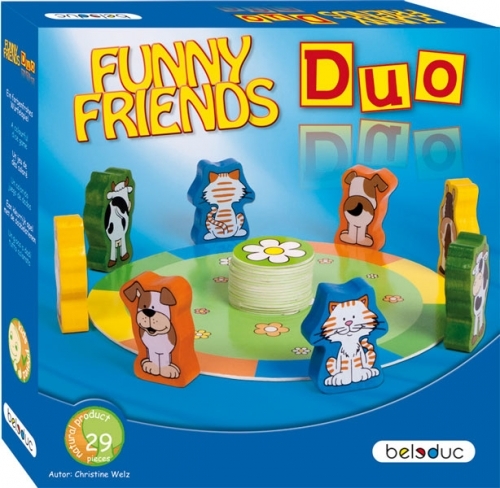 € 24.10 GALDA SPĒLE "JAUTRIE DRAUGI - DUO"
GALDA SPĒLE "JAUTRIE DRAUGI - DUO"
The figures are turned as soon as the matchig colour is thrown on the dice. 1 flower card is awarded for each pair of the same colour that is looking at each other. The first person to have 5 cards, wins the game. 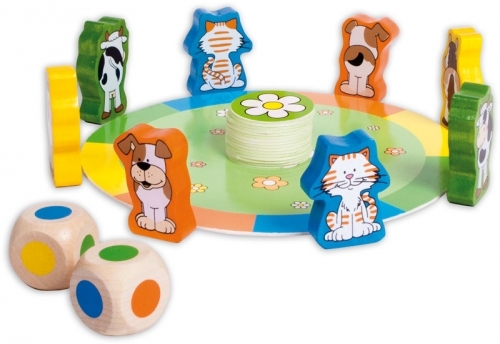 This game focuses on colour and shape recogniton, speech development and early understanding of rules.